The town of Carsulae in Umbria lay on the route of the Via Flaminia, the Roman road that connected Rome with the Adriatic town of Ravenna. 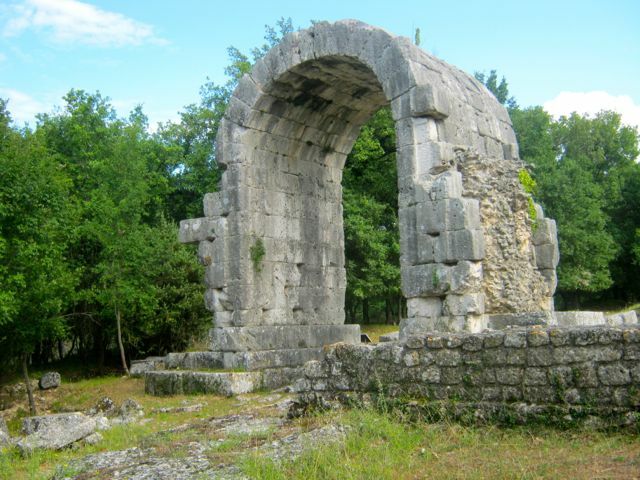 Many towns in Italy survived through the middle ages and on to the present day, often recycling or preserving the Roman buildings but Carsulae is an exception, the site is now noting but ruins. 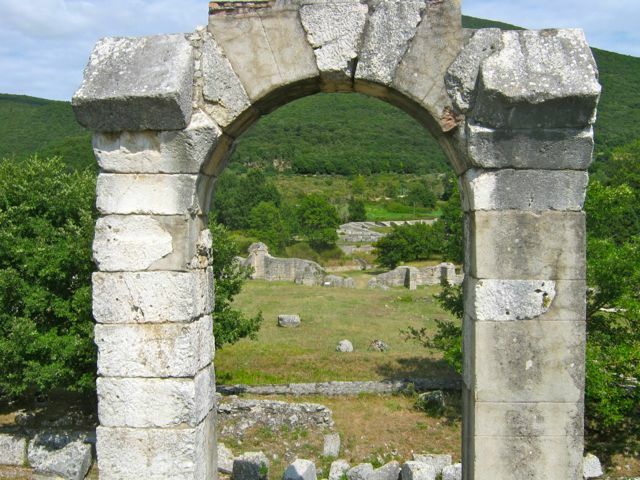 The extensive archaeological remains that are all that remain of the town are evidence that in it’s heyday it was thriving As the Roman empire declined it is thought that there were several factors that led to the site becoming abandoned. An earthquake is thought to have ruined much of the town and much of the traffic that supported the town’s economy had started to use a quicker branch of the Via Flaminia that led from Narni to Spoleto and eventually on to the town of Foligno where the two routes joined. In addition the position of the town on the Roman road made it particularly vulnerable to attack as barbarian tribes started to invade the Italian peninsular. A small Christian community used the site for a while and there is a church dating to the 4 or 5th Centuries CE. I recommend a visit to Carsulae, it’s a good spot for a picnic too and you can, with a bit of forward planning, combine it with a visit to the Marmore Waterfalls.